If Paris is chosen as host of the 2024 Olympics, PSG might receive a boost in attempt to expand Parc des Princes by over 10,000 seats. Which would be helpful since it’s full every game. 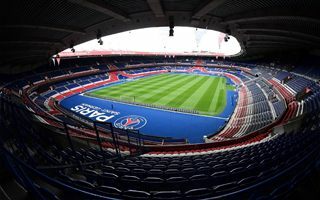 From the start of their ownership at Paris Saint-Germain, Qatar Sports Investments made it clear that a larger stadium is one of the means to establish PSG as one of leading European clubs. There were two options under consideration: move to Stade de France and expansion of Parc des Princes. The first one is out of the picture now, especially after the Qataris pumped €75 million into redevelopments at their current stadium ahead of Euro 2016. Expansion before the tournament proved impossible, importantly due to difficult location and protected legal status of the stadium. It’s not impossible, though, which is why PSG decided to stay put and deliver the expansion in medium term. During current exhibition celebrating the club’s 45th anniversary deputy CEO Jean-Claude Blanc assured plans haven’t changed. “Roger Tallibert (original architect) knows this stadium personally. He knows what we want to do and not do to it”, Blanc said, referring to the monumental architecture which should be respected. Blanc also suggested that a successful bid for the 2024 Olympics might accelerate the club’s plans. Parc des Princes with 60,000+ capacity would be a major asset for Paris during the event. Decision about the Olympics hosting rights will be made on Sept 13 in Lima. Paris is competing with Budapest, Los Angeles and Rome. Current occupancy during league games indicates the club should consider the expansion sooner than later. While upon the arrival of Qatari investors crowds were in low 40,000 area, now it’s 46,066 per game or 94% of all available seats. This way, despite having the fourth largest stadium in France, PSG dominate in terms of crowds.